Can the Afghan Army Outlast NATO's Departure? This article by Julian Borger in the Guardian gives food for thought to those who continue to support the NATO mission in Afghanistan. Do NATO member states, and the Alliance as a whole, have the staying power and will to support the ANA in a fight with the Taliban once they have departed? It seems doubtful at the moment that the answer is unlikely to be positive, and if that is true, what has been the point of the deaths and fighting of the past ten-plus years? 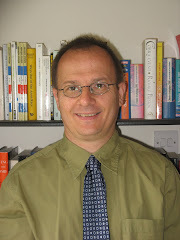 Martin Butcher is an independent international security analyst. Martin has worked as an analyst of nuclear weapons and other weapons of mass destruction issues since 1983. He is the author and co-author of numerous publications on nuclear chemical and biological weapons, US nuclear policy, NATO strategy, NATO nuclear policy, French and British nuclear policies, the EU, nuclear weapons and nuclear disarmament. Until 2006 Martin was Director of Security Programs for Physicians for Social Responsbility in Washington DC. Previously Martin worked for BASIC, and for seven years, was Director of the Center for European Security and Disarmament (CESD) in Brussels. There he carried out research on NATO and EU security, foreign and defense policies and directed a program work on nuclear arms and disarmament; arms transfer policy; EU Common Foreign and Security Policy (CFSP), amongst other issues.